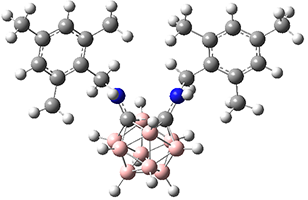 Lets face it, Boron can play tricks on the electronic structures of adjacent bonds. Another way of inducing an apparently long C-C single bond are the semi-bullvalene systems. These indulge in [3,3] sigmatropic shifts, with two pairs of atoms oscillating between a C-C single bond and no C-C bond. There has long been a search for “frozen” semibullvalenes where the transition state for this process is captured as a stable minimum. Such a system would then have a C-C bond length > 2.0Å. One exploration of such frozen systems can be found here, although this ended in locating long C-N rather than C-C bonds. Do these “count” as long single bonds? Or perhaps they are genuine “half-bonds”?